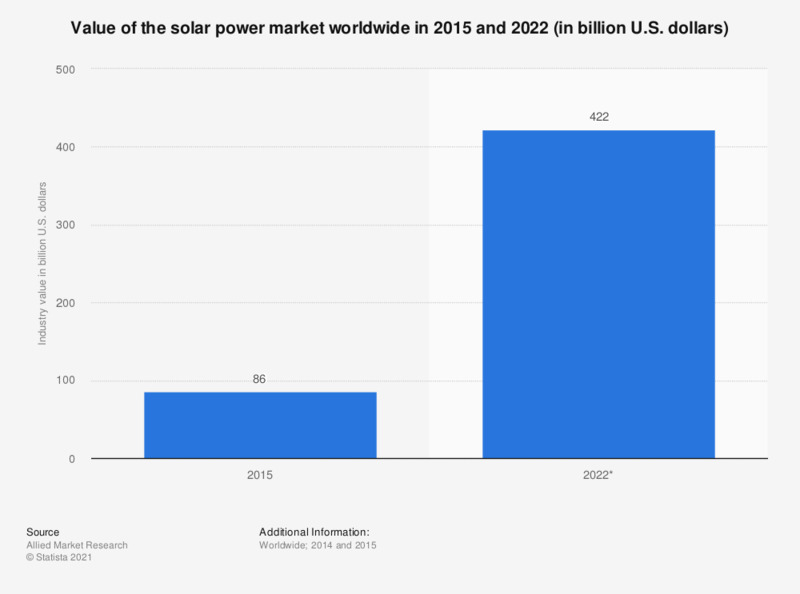 This statistic represents the value of the global solar power market in 2015 plus a projection for 2022. The global solar power market is estimated to be sized at around 422 billion U.S. dollars by 2022. * Projection based on the CAGR of 24.2 percent from 2016 to 2022.